Hope everyone had a great Valentine's Day. Paleo life is great! Recently, as you all know from my last post, I have been sort of busy. I'm prioritizing and keeping life in check, I got my camera back, so I have a picture of the finished product this time! 3.) 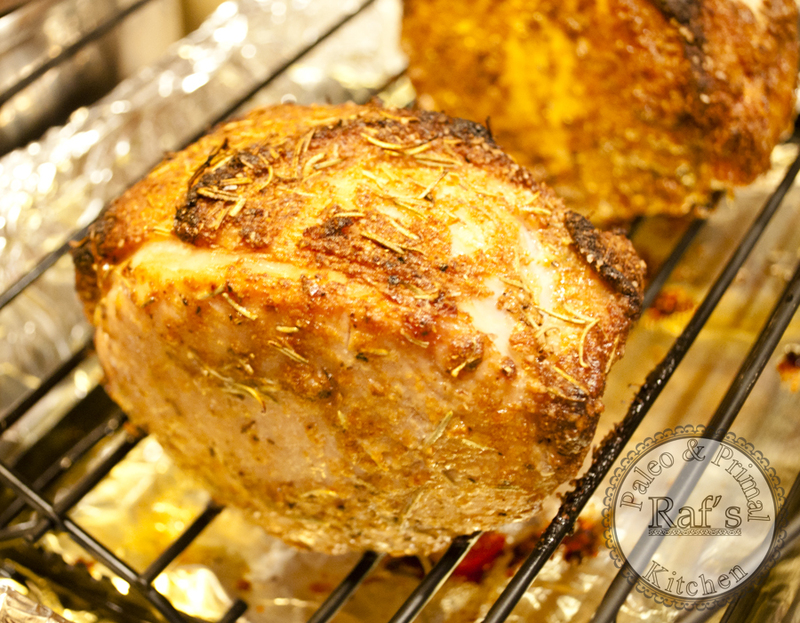 Position an adjustable roasting rack in a roasting pan and sit the porkloin on the roasting rack. 5.) Check for done-ness, if the meat is cooked to your preference, remove the tent, and broil for a few minutes (4-5 min) to crisp the outside before taking it out of the oven. 6.) Remove it from the oven and allow it to sit for 5-8minutes before serving. Enjoy!!!! P.S. I do not recommend consuming undercooked meat.